Dark archive: The purpose of a dark archive is to function as a repository for information that can be used as a failsafe during disaster recovery. 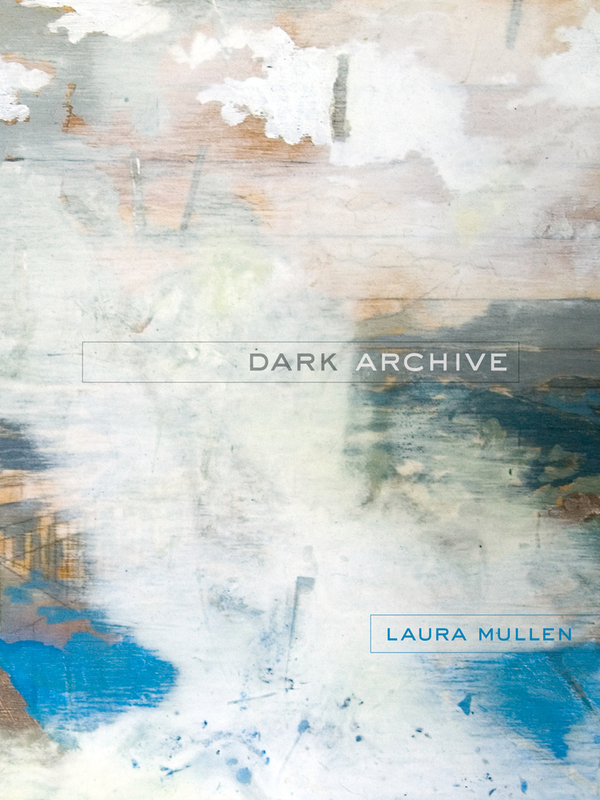 Laura Mullen’s fourth collection is a sequence of beautifully interrelated poems that explores how to accurately represent the reality of change and loss. Mullen pinpoints what is at stake: the possibility of communication and connection—and the hope of intimacy. Invoking Wordsworth’s “I wandered lonely as a cloud,” she pushes experiments in consciousness against their boundaries in an array of poetic forms. Poetic tropes are measured against natural phenomena as Mullen examines what “witness” might mean in the context of the aftermath of Hurricane Katrina, the failures of capitalism to effect social justice, the murder of James Byrd in Texas, the personal loss of a mother figure, and a disintegrating love affair. Laura Mullen’s first collection of poems, The Surface, was chosen as a National Poetry Series selection; her second collection, After I Was Dead, was selected for the University of Georgia Press Contemporary Poetry Series. She is also the author of Subject (UC Press), and two hybrid texts: The Tales of Horror and Murmur.